Your family will love getting away from the hustle and bustle of a busy life for a weekend of fun with this Shasta Oasis travel trailer. This unit is perfect for a growing family that enjoys spending as much time outside as possible. If you like camping near a beach, riding bikes, or just simply enjoying wherever the day takes you, this trailer must be a part of your excursions. When the sun goes down and the LED patio lights get turned on, it's time to relax by a campfire and eat s'mores while counting stars, and if your family enjoys staying inside, you can play a game or two at the booth dinette. 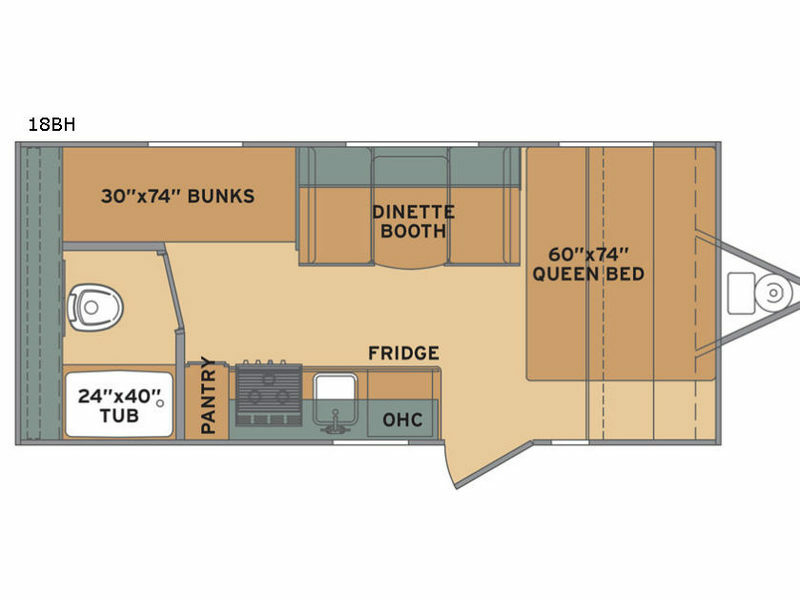 This trailer can easily sleep five people with a queen-size bed in the front and a set of bunk beds in the rear portion; plus, the booth dinette can easily be turned into sleeping space for one more tired camper!